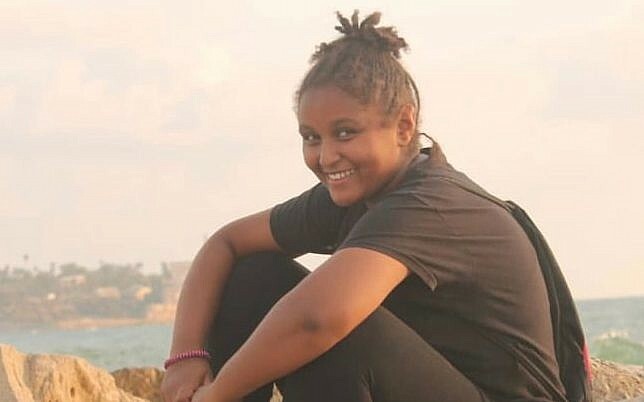 The murder of Silvana Tsegai, 12, in south Tel Aviv might have been prevented, were the doors of city welfare agencies as open to asylum seekers as they are to Israeli citizens. Although Tsegai was treated by social services when she was 8, after a complaint was filed about her situation, it isn’t clear what kind of assistance she received. What is clear is that her mother’s partner was not in any kind of violence prevention program. The Israeli government is crazed by xenophobia. As a result, women and children in the community of asylum seekers do not get the help they deserve from domestic violence centers. They are not entitled to receive social services except in life-threatening situations, and the Labor, Social Affairs and Social Services Ministry does not allocate funds to treat children at risk in this community. This neglect is not the result of human error. The government is determined to get rid of the asylum seekers and refuses to bear any legal and moral responsibility for a population that is in Israel legally. This wrongful policy was harshly criticized in 2014 by the state comptroller, who said it contravened the Basic Law on Human Dignity and Liberty and was inconsistent with the international conventions to which Israel is a signatory. The comptroller asked the Social Services Ministry to re-examine its policy, but it took three years for an interministerial team to begin operating and another year for it to submit it conclusions; now five more months have passed, ridden with disputes that have prevented the approval and implementation of the recommendations. The Social Services Ministry must take on board the conclusion that rings out from every report of every committee that has studied the issue. The agency has an obligation to permit stateless persons who are in Israel lawfully, and asylum seekers in particular, to receive social services. On Monday, the body of another girl was found: Yara Ayoub, 16, of Gush Halav (Jish). Her death is being treated as a suspected murder. Thus, within 24 hours, the number of women and girls murdered since the beginning of the year rose to 24. These are not exceptional numbers; they repeat themselves every year. Prime Minister Benjamin Netanyahu, who has been in office for three consecutive terms, suddenly woke up this week to discover that there are 200,000 women in Israel who have experienced violence at the hands of a current or former partner. After an “alarming” visit to a women’s shelter, he announced the formation of a ministerial committee. But such a committee was established in September 2014. In July 2017 the cabinet even adopted the work program it had recommended, but this week Haaretz revealed that the Finance Ministry never allocated funding, regarding it recommendations as suggestions only. Instead of setting up more committees, the existing one’s recommendations must be budgeted. The asylum seekers and violence against women are among the issues most neglected by the Netanyahu government. Instead of busying itself with loyalty tests for the public, this government must begin demonstrating loyalty to society’s most vulnerable groups.